No, this was not a tour by the German ICE train, but rather a trip made by members of the Southern Michigan Railroad on an icy day in January 1988. 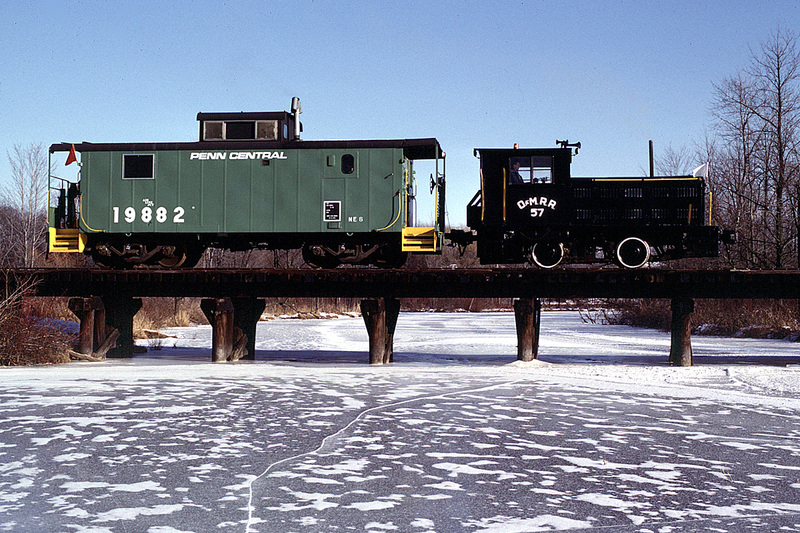 Starting from Clinton, a group of members set out with locomotive O&M #57 and Penn Central caboose #19882. The stove in the caboose had a roaring fire to keep everyone warm, while the crew members in the locomotive had to maintain heat with layers of clothing and a thermos of coffee! The blog author slowly eases the train over the River Raisin trestle. The white boards surround an area where there had been a fire on the bridge, and repairs were made. 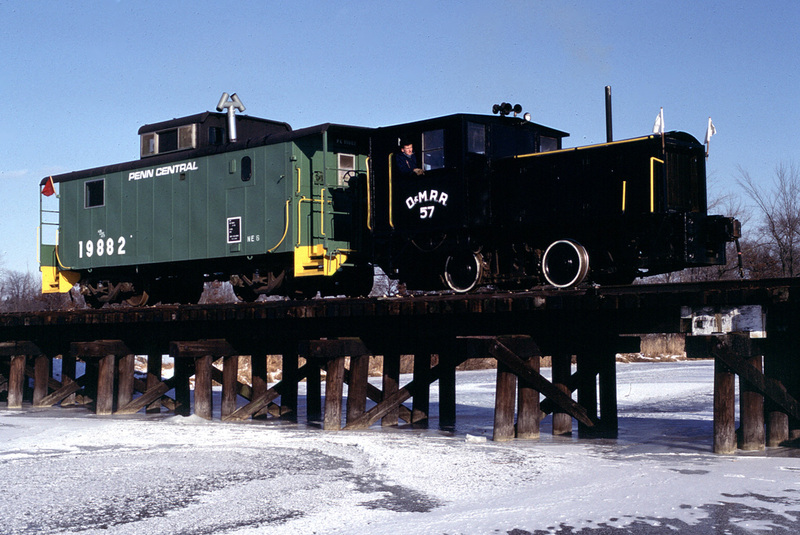 The SMRS train on the River Raisin bridge; the locomotive flies white flags as it is an “extra” train (not in the timetable), while the caboose has red flags to project the rear of the train.